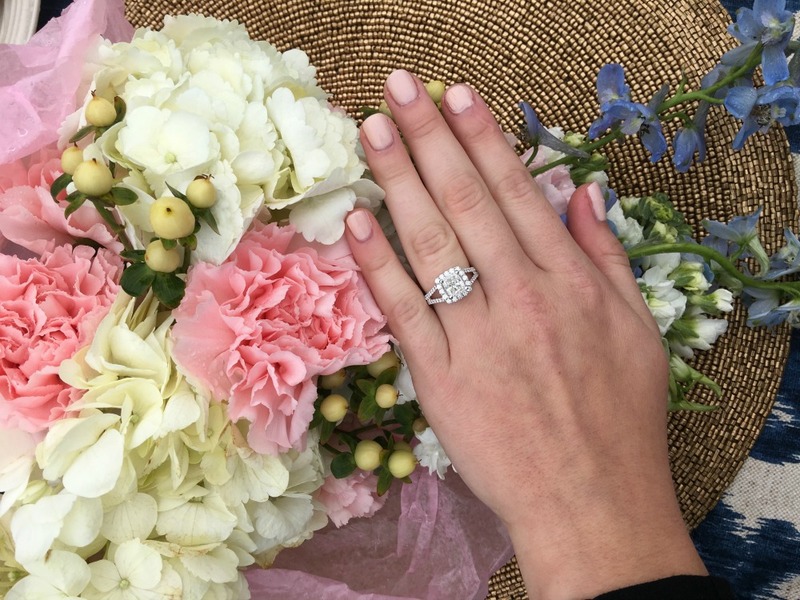 Love Everything Lovely - Fashion & Lifestyle Blog by Alena Votchits: I said YES! Four years ago, Alena cut her hair from waist length to an a-line bob. That day, Charming's life was forever changed. He began to notice Alena more than usual. At that time, Charming, Alena, and several of their friends volunteered to prepare snacks and refreshments for their church's youth gatherings. As they would prep, conversations were always friendly, but soon became flirtatious. In September of 2013, Charming gathered enough courage to ask Alena on a date. He decided to take her go-karting, where the required helmet undid all the work Alena put into her hair that evening. Thank goodness nothing needed to touch her face to mess up her makeup. Being the gentleman that he is, I think we can guess who won the race (hint: Alena). The evening was followed by a dinner, where Alena ordered the most expensive item on the menu. At that moment, Charming knew he was in trouble. 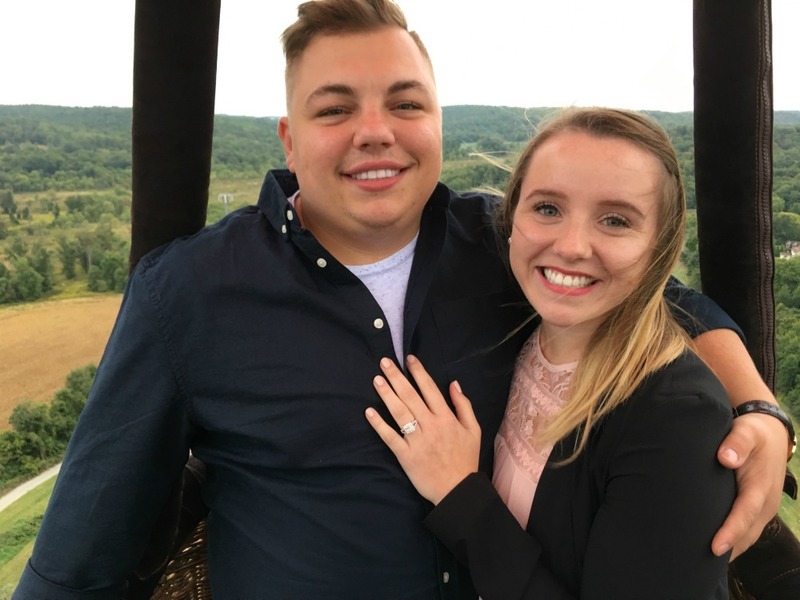 However, as they swung on a pair of swings, he still decided to conclude the evening by asking her if she will be his girlfriend. After the proposal, Charming had another surprise for Alena. 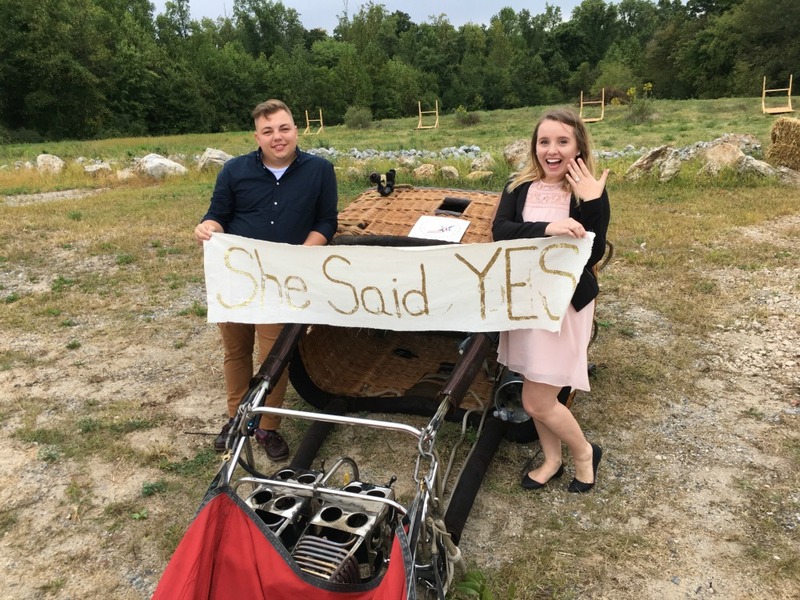 Only a short drive from the hot air balloon location, several dear friends set up a beautiful picnic for the newly engaged couple. Amongst the cake and macarons awaiting the couple, there was a sweet sound coming from a closed basket laying nearby. 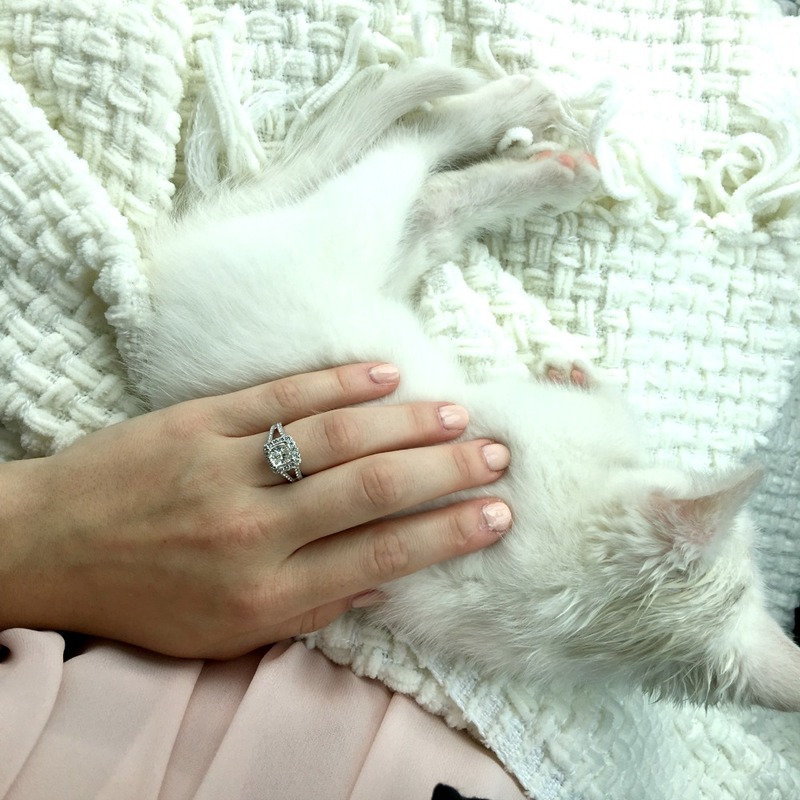 Little did Alena know, on top of a charming fiance and a stunning ring, her dream of a white kitten would also become a reality that day. 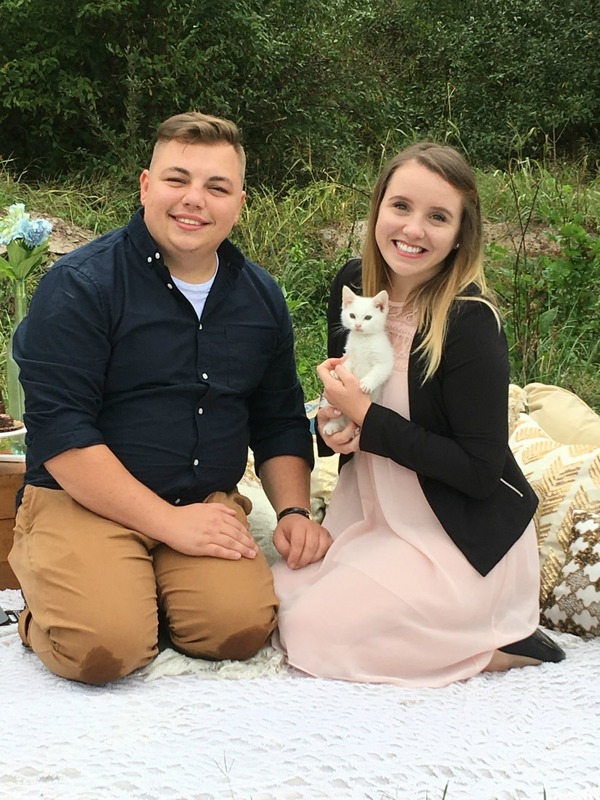 I cannot wait to show you guys our engagement photos! But I figured I may need to give a little background before I post those! Be on the lookout for them soon! Are you engaged? 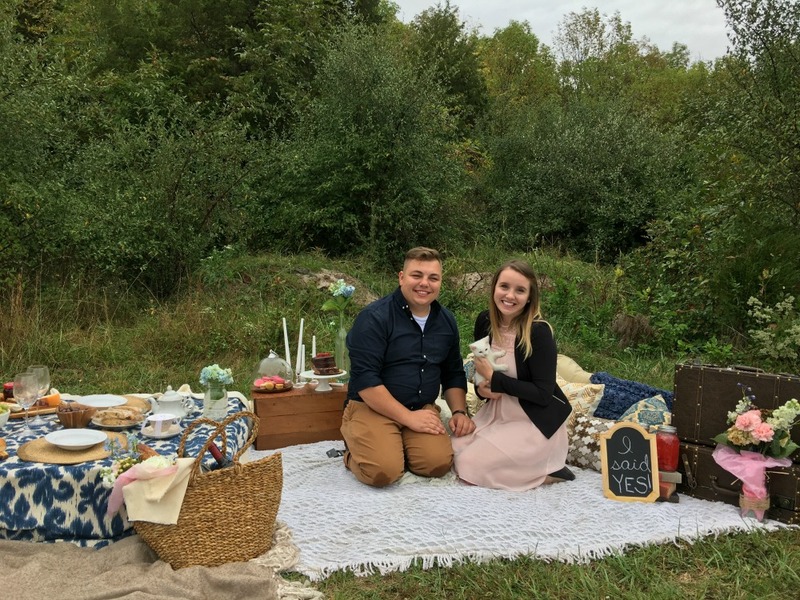 I'd love to hear your proposal stories in the comments below! Check out my post here to see where my dress is from.